We offer an exclusive range of LDPE polyethylene that are made by reputed companies under the edge-cutting high-pressure manufacturing process. These chemicals are environmental friendly and easy to use. Life Bag is a family of emergency bags designed and made by Northon, a leading company that creates emergency and first aid bags for Spencer. After analyzing the European emergency operators' requests, three models have been created with similar quality characteristics, durable and practical, with reduced volume and the possibility of storing different products. The premium quality UHMW polyethylene supplied by us is made from the highest grade of poly. 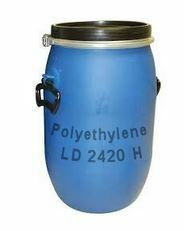 Our range of UHMW polyethylene bears high-density polyethylene resin and is engineered for tough jobs. The molecular weight range of these UHMW polyethylene are 3 to 6 million as compared to 300, 000 to 500, 000 for HMW resins.